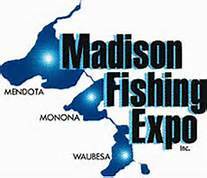 Slinger, WI – The Wisconsin Fishing Expo (WFE), already the largest fishing expo in Wisconsin, and arguably the Midwest, drawing over 20,000 attendees per year, saw a 12.5-percent increase in paid-attendance for 2017. 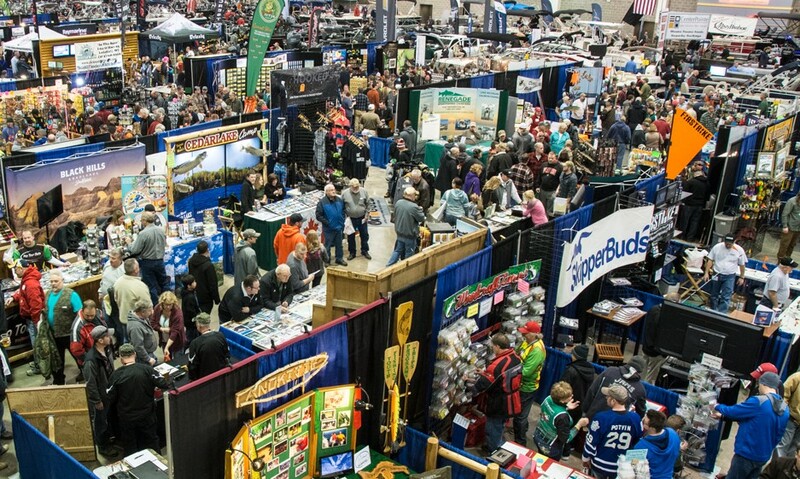 Held at the at the Alliant Energy Center Convention Hall in Madison, WI, with over 110,000 square feet of exhibit space, the 2017 WFE boasted a combination of new attractions, focused advertising, and mostly-favorable weather which helped to contribute to the WFE’s continued success.Dan Durbin and Jeff Bast, co-owners of Bast Durbin Advertising, the marketing firm which owns and produces the WFE, said that they were thrilled with attendance figures and the positive feedback they received from vendors and consumers, alike. New attractions at the WFE helped bring in people, too; from the new second floor venue featuring a wildlife art and gift display, to an ice carving contest sponsored by Carrot Stix rods, to live entertainment from local musician, Pat McCurdy, the show offered a wide variety of unique exhibits and entertainment that caught the attention of anglers from miles around, as hoped. – Josh Roundsley, Thorne Bros Custom Rod & Tackle. drawing the crowds and making it one of the best shows on our circuit. For many consumer-based shows, it is a struggle to attract national manufacturers to exhibit because of crowded event schedules, including distributor shows and in-store promotions. However, the WFE has worked hard to make sure that the manufacturers who attend the WFE work in coordination with the independent dealers in attendance to develop great show promotions to help move product for both parties. A few of the factory booths in attendance at the 2017 WFE included: St. Croix, Fenwick, Garmin, Carrot Stix, Gamakatsu, Okuma, Ray Marine, Grizzly Coolers, Berkley, and many, many more. Consumers and vendors, alike, complimented the variety and quality of vendors, seminars, and exhibits at the WFE. As testament to the success of exhibtors at the 2017 WFE, nearly 60-percent of existing vendors submitted 2018 contracts at the event, locking in their space for the 2018 Expo. After April 27th, what remaining space exists will be sold on a first-come, first-served, basis. The WFE is again expected to sell out quickly for 2018. Due to increased demand and the growing wait list, Bast Durbin Advertising is exploring opportunities to expand booth space into other areas of the current venue.